There are so many pumps made by Bell and Gossett. There are commercial pumps and residential pumps. 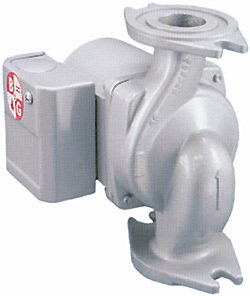 The Series SSF is one of the company’s premier residential pumps. 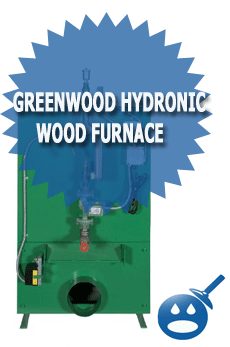 The most common application of these pumps is for potable water on heating systems. The SSF-22 is one of the most reliable pumps in their inventory. The SSF-22 or Bell and Gossett number 103357 is the equivalent to the Taco 007B and the Grundfos UP25-64SF. What makes the SSF Series such a reliable pump is the great features that are offered. On the SSF there are 3 different choices available, the Flanged, Sweat and the Union pumps. 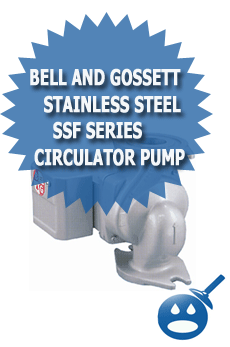 Unlike other B&G pumps the SSF is only available in one construction, Stainless Steel. The Impeller is made from a non metallic material called Noryl so it won’t corrode easily. The Pump Shaft is made from a Ceramic Material and the Bearings are a special Double Sintered Carbon. The SSF Pumps have a high rated torque making it easy to start up when you need to fire up the system. Bell and Gossett have their own creation called the DuraGlide Bearings System, which ensures peace and quiet when the pump is running. The SSF Series is considered by B&G as maintenance free, which will save you a lot of money in the long run. Make sure before installing a pump that you read all of the specs and manuals to make sure you have all of the necessary requirements to install the pump. 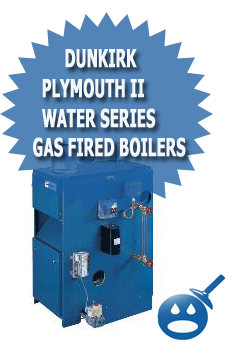 The Maximum Working Pressure is 150 psi and the Maximum Operating Temperature is 230 degrees Fahrenheit. The SSF-22 offers Universal Flange to Flange Dimensions, These dimensions include sizes of 3/4″, 1″, 1-1/4″ and 1-1/2″. The wattage on these pumps is rated at 92, which is a very good efficiency. The motors run on single amperage, 115 volts and a 2940-rpm. Bell and Gossett back the SSF Series Pumps with a 3-year Warranty, which is one of the best warranties in the business for pumps like the SSF. In addition to the features we mentioned on the SSF, there are 2 options that would make the operation of the pumps go even smoother. The TC-1 Automatic Timer (B&G 113210), a timer would help increase the efficiency of the recirculation system. You can program the timer to the schedule that you set. The second is part is the Aquastat (B&G 113223 for 1/2″ and 3/4″ 113224). These are created and designed for the B&G pump so you can turn the pump on and off when you decide what water temperature you want to use. There are the 2 models available, check what size pipe you have, 1/2″ or 3/4″ before ordering. Bell and Gossett isn’t one of the biggest names in the industry for nothing. They have nothing short of quality products and excellent customer service. 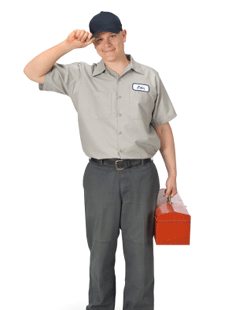 If you need to replace your recirculating pump in your home, check into B&G. If the SSF is not what you are looking for then chances are the other great products will fit your needs.